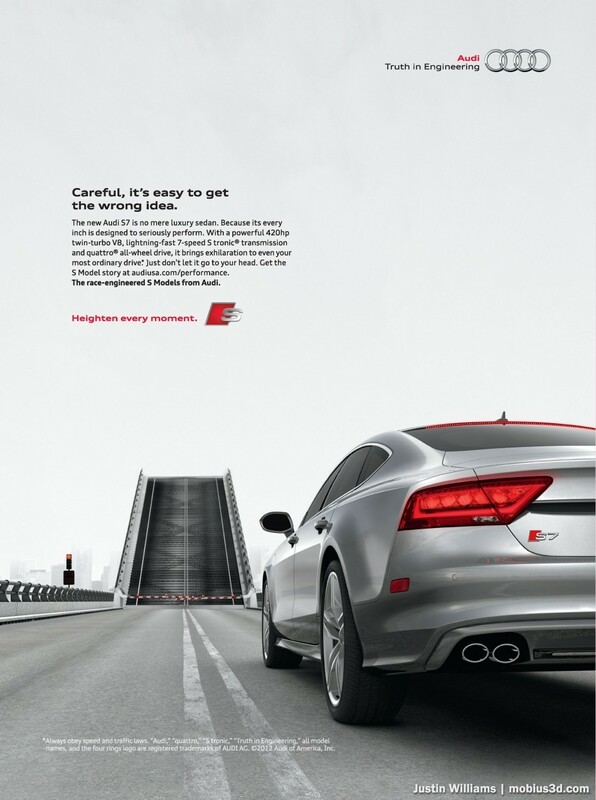 A CG render for the current Audi S7 print campaign, appearing in Car and Driver and other publications. 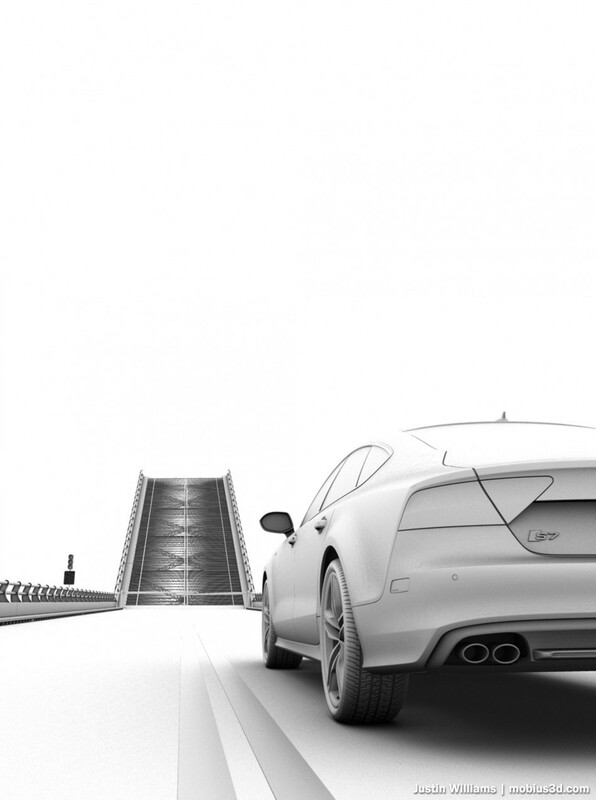 The CAD model of the car was provided by Audi, and run through XYZ’s car set-up process, which streamlines the model for rendering and assigns initial materials. This allowed me to focus on lighting the scene and fine-tuning the materials, as well as modeling and texturing the road and drawbridge.